There are bats and mini-bats. There are helmets and mini-hemelts. And of course, there are both Mega Tickets and Mini-Mega Tickets. Made from authentic tickets. 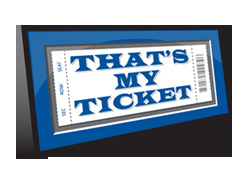 Mini-Mega Tickets are approximately 200% larger than their original ticket size and printed directly on 1/4-inch thick rigid PVC board. They are perfect for autographs and can be used as a team-signed item. 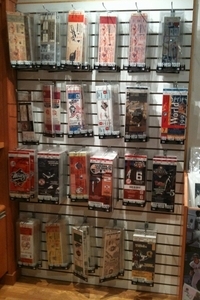 Mini-Mega Tickets make great wall art as they include a flexible wall hanger on their back. Plus, they can be displayed on a desktop or bookshelf using a unique two-piece stand (sold separately).